We’ll take a look at a couple of real life scenarios to show the benefit of creating a fantasy platoon by examining players that are relegated to a platoon situation in real life, whether it be by using two players who are in a real life platoon on their Major League team, or by using two players from different teams that have favorable splits versus one handedness. For the first scenario, let’s look at the center field situation in Detroit. In 2014, Rajai Davis was considered to be the fourth outfielder for the Tigers, but he did receive considerable playing time versus both right-handed and left-handed pitching as he played all outfield positions and assumed a full-time role after the Tigers traded Austin Jackson to the Mariners. Davis, a right-handed hitter, displayed much greater success against left-handed pitching last year. So as you can see, Davis crushed lefties with a .939 OPS, as opposed to a very weak .617 OPS against pitchers of the same handedness. And though not as pronounced as last year, this has been a trend throughout Davis’ career. Although, the one drawback that happens for the majority of speedy righties versus left-handed pitching is that they will tally stolen bases at a lesser rate due to the fact that left-handed pitchers typically are tougher to steal bases off of since they are facing any runner that is leading off of first base. But in the case of Davis, the increase in overall offensive production versus lefties more than makes up for the slightly lower rate at which he records a stolen base. So Davis is clearly the guy the Tigers prefer to use when facing a left-handed starting pitcher, and for the most part Gose is the guy versus righties, although Davis does get the occasional start versus a righty whom he may have a good track record against or to give one of the other Tiger outfielders/DH a day off. This lineup construction by Tigers manager Brad Ausmus has been paying some nice dividends through 38 games of the 2015 season with Davis hitting lefties well and Gose taking care of the righties. Since Davis and Gose play for the same team, you will know ahead of time which player is going to be in the starting lineup on any given day (starting lineups can be found a few hours before scheduled start times on sites such as Daily Baseball Data or the fantasy platform that you use should indicate if a player on your roster is in his team’s starting lineup for the day). So I’m going to show the combined stats of Davis and Gose for each day if you were to insert the one who was slated to start on any given day in this platoon. For those 3 games where both Davis and Gose were in the starting lineup, I will use the lefty Gose’s stats since they were facing a right-handed starting pitcher in all of those games. That’s one heck of a line through 38 games of the season that in effect could be yours if you were to have both of these players on your fantasy roster. Through May 17, out of all Major League hitters, this “one player” would be 26th in AVG, 2nd in runs, and tied for 4th in SB. Is that something that you might be interested in? That is incredible combined production out of two players who could have been had in the very late rounds of any draft, or even one or both could have been picked up off the waiver wire in some leagues. Let’s compare this “one player” to a mystery player’s current season stats. ***Note: While the Davis/Gose combo numbers are nice, the AVG/OBP/SLG line is inflated due to Gose’s incredibly high .493 BABIP in those appearances. So there will be regression coming for Gose and that platoon as a whole. The “one player” combo of Davis and Gose has very similar numbers to our mystery player, right? Any guesses on who it might be? I’ll give you a hint: it’s a player that hits leadoff like the Davis/Gose combo normally does. Next hint: he was around the 30th player off the board in drafts, which would make him a 2nd or 3rd round fantasy pick depending on league size. Third hint: he wears pinstripes. Okay, give up? Our mystery player is none other than Jacoby Ellsbury. Would you rather have spent a 2nd/3rd round pick on Ellsbury, or spent two very late round picks on Davis and Gose? I know which one I would prefer. Obviously there is a draw back to this as you would have to use two roster spots to extract the awesome production from this “one player,” but if you have the space then I am all for it. Now let’s take a look at how this strategy doesn’t necessarily just apply to real life platoon players who play the same position on the same team like Davis and Gose. You can build your own fantasy platoon with a couple players that you know have really good split numbers versus a certain handedness of pitchers. For instance, do you have a utility spot that you don’t know what to do with? Well, you can pair David Peralta and Adam Lind together. Both of these left-handed hitters do much better against righties than lefties. Using this example, there are going to be a lot of days where both Peralta and Lind both face righties, which means you would have to make a manager’s decision between the two on which to start. But it’s going to be a rarity where both of their teams are up against a left-handed starting pitcher since southpaws only account for about 30% of all Major League starting pitchers. So when one of their teams is set to face a lefty, then you start the other one who is likely up against a righty. With this example you will probably run into some rough days, like when the one player that you decide to bench for the day goes 3 for 4 with 1 HR and the one you started goes 0 for 4 with 2 K. Or when the player you started gets pinch hit for in the 7th inning when the opposing team brings in a southpaw for the lefty vs. lefty matchup. So this situation is not as exact as when the two players are on the same team like Davis and Gose, but it still can be effective. Consider this, Peralta and Lind’s combined numbers versus righties this year through May 17: .298/.379/.562 with 10 HR, 29 RBI, 28 R, 1 SB, 24 BB, 32 K in 178 AB. Now you wouldn’t have all of those pretty stats for the previously stated reasons, but it is just an idea of what creating your own fantasy platoon could do. This wouldn’t be a recommended strategy for leagues where you submit your lineup for the week and then can’t edit it till the following week, but if you are in a weekly league and own any players or want to own any players that have platoon-able splits, then make sure to check out their upcoming matchups for the week to see who the scheduled opposing starting pitchers are going to be and what hand they throw with. If the Red Sox are set to play 7 games in a week and all of them are scheduled to be against right-handed pitchers, then fire away with Pablo Sandoval who is crushing righties. But if the Red Sox are set for a 7-game AL Central road trip to Detroit and Chicago where the scheduled starters for the opposing teams are David Price, Anibal Sanchez, Kyle Lobstein, Chris Sale, Jose Quintana, Carlos Rodon, and John Danks, then you may want to look for another option at third base for the week as 6 of those 7 pitchers are lefties and Sandoval can’t hit lefties worth a lick. Also, I would like to point out the importance of knowing the platoon players for DFS (daily fantasy sports) when constructing lineups for sites such as DraftKings, FanDuel, Fantasy Aces, etc. Knowing which players are part of a platoon because they have strong splits versus a certain handedness of pitcher will help you to find a lot of value plays each and every day in DFS. It’s finding those value players who are in good situations to out produce their price tags that will allow you to spend some extra money on an ace or a couple more higher priced elite hitters. In conclusion, you don’t necessarily need to shy away from drafting, picking up, and using players that are part of real life platoons. It’s not always going to work out perfectly, but it makes for a very interesting option with a little good fortune, and if executed correctly. 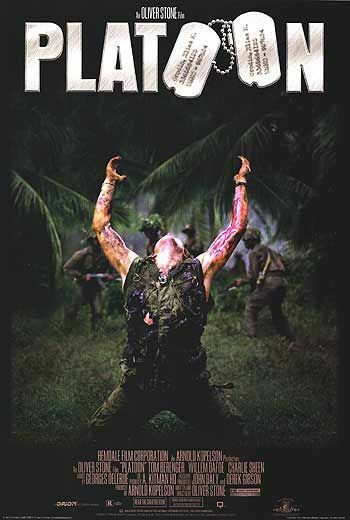 Now excuse me while I go put in my Major League blu-ray because as I discovered while typing this article, Platoon is not available on Netflix! I need my Tom Berenger fix. This entry was posted in Fantasy Baseball Strategy and tagged Adam Lind, Anthony Gose, Austin Jackson, Baseball, David Peralta, DFS, Fantasy Baseball, Fantasy Sports, Jacoby Ellsbury, MLB, Pablo Sandoval, Platoon, Rajai Davis. Bookmark the permalink. ← Can Zach McAllister Be the New Tribe Chief? My name is Derek and I’m the founder of the Foxsports/Yardbarker.com syndicated sports and entertainment site nocoastbias.com. In short, the site is a hub for the most talented writers from across the country and I think you would be a great fit. If you’re interested, feel free to shoot me an email at derek (at) nocoastbias (dot) com. Thanks!